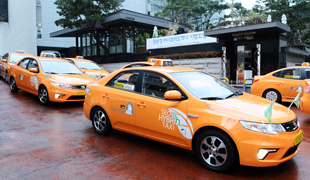 There are several ways to get to Seoul from Incheon International Airport. The following are the most convenient and economical methods of transportation. Airport Limousine Buses : Airport limousine buses are available throughout across Seoul as well as at hotels and major tourist attractions nationwide. Airport Express (AREX) : AREX trains are very convenient because they pass through Incheon International Airport and Gimpo International Airport to Seoul Station and are also connected to most Seoul subway lines. Subway : Seoul Metropolitan Government operates subway lines 1-9 run across Seoul. Taxis : Standard, Deluxe, Int’l, and Jumbo taxis are all available. Travel Time: The travel time from Incheon International Airport to major areas in Seoul also varies, but it usually takes an hour to reach Seoul Station, 75 min. to Myeong-dong, 80 min. to Gangnam and 2 hours to Jamsil. 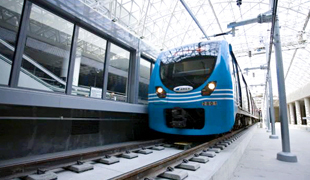 Opened in 2007, the Airport Express is the fastest way to get to Seoul thanks to its excellent connectivity with the railroad system. Operation Conditions : The AREX service passes through Incheon International Airport and Gimpo Airport to Seoul Station. It consists of general trains which stop at all ten stations and express trains which run directly from Incheon International Airport to Seoul Station. Seoul Metropolitan Government currently operates nine subway lines that are connected to ten other lines including the Suin and Gyeongchun Lines, which run in metropolitan areas. 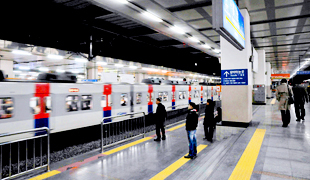 Passengers can transfer to five subway stations from an AREX train, including Gimpo Airport, Digital Media City, Hongik Univ., Gongdeok, and Seoul Station. Fare: Taxi fares are charged according to the taximeter. ※The expressway toll from Incheon International Airport to Seoul will be charged to the passenger.